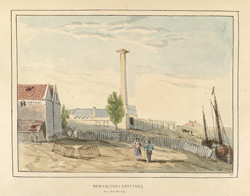 Small pottery manufacturers appeared in Deptford in the 17th and 18th centuries. These businesses needed to specialise because of the competition faced from similar industries in Staffordshire. Domestic and industrial ware was produced, such as sugar moulds, flowerpots, chimney pots and crucibles.